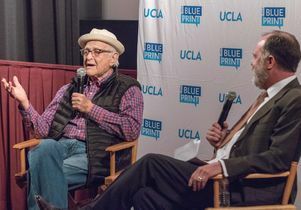 TV producer Norman Lear had the crowd eating out of his hand during a conversation punctuated with jokes and sharp observations. 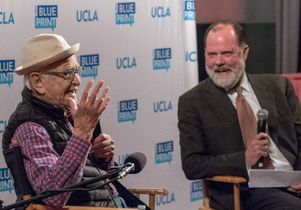 The screening was part of a special conversation hosted by UCLA’s public policy magazine, Blueprint — the latest issue of which focuses on philanthropy. Editor-in-chief Jim Newton moderated the event. 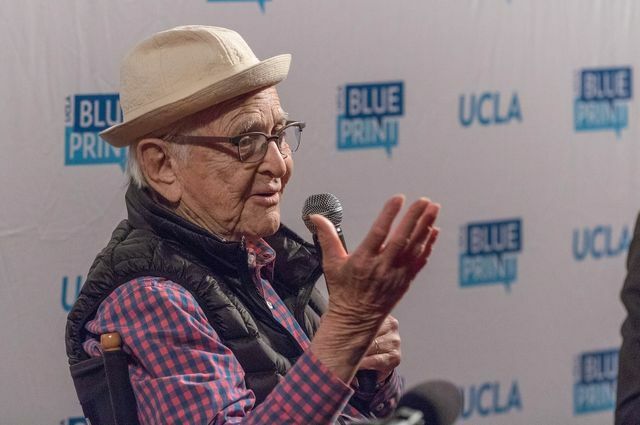 Lear is best known as creator/producer of classic television shows such as “All in the Family,” “Good Times,” “The Jeffersons” and “Maude.” He also gained national notoriety when in 1981 he founded the liberal political organization People for the American Way. 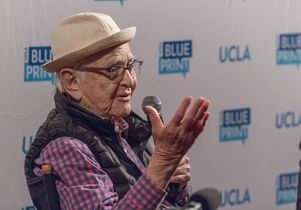 Over the years he has backed campaigns to register young voters, donated to organizations that fight climate change and sponsored a trust and awards to recognize and encourage businesses to think beyond the short term. Lear is especially lionized for the issues his shows tackled, particularly for minority communities and cultures. 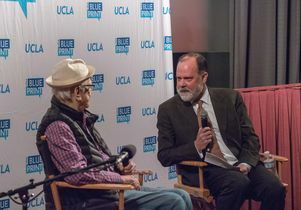 Lear is credited with putting “Good Times” and “The Jeffersons” on the air, two shows that concentrated, for the first time, on African American families. Many of the issues that have concerned Lear throughout the years have persisted, and he is no fan of the current people residing in the executive branch, but he did encourage people to keep pushing forward. “I think the American people are bereft of great leadership,” he said. “If you are looking at corporate America, military America and certainly political America … the American people have a great reason to be terribly disappointed. “The American people look and say, ‘This is the kind of leadership you have to offer? Then take that,’” he said referring to Trump winning the presidency. 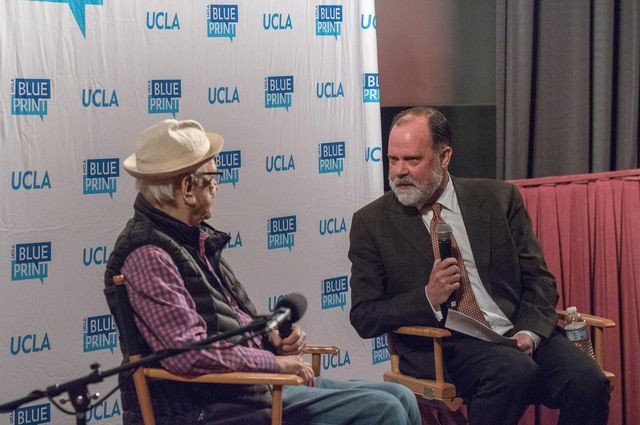 TV producer Norman Lear speaks at a UCLA Blueprint event in Bevery Hills, California.